Hagia Sophia, “Holy Wisdom,” was originally a basilica style church built in the fourth century. 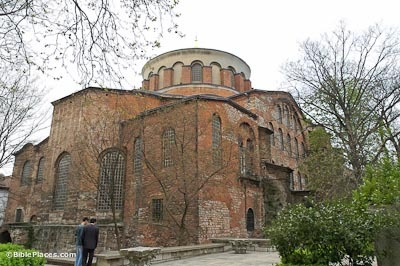 After the church burned down twice, Emperor Justinian built the present, fireproof structure around AD 537. Hagia Sophia served as a Christian church for 900 years until 1453, when Moslem Turks took the city and converted it into a mosque. In 1935, it was turned into a public museum. A legend about the design of the church says that one day during Mass, Emperor Justinian dropped the holy bread from his hands. Before he could grasp it, a bee picked it up and flew away. Justinian sent a message to all beekeepers in the empire to look for the bread in their hives. After a couple of days, a beekeeper arrived with a hive of peculiar design. Upon seeing it, Justinian decided that he would build a magnificent church with the design of this hive as its ground plan. Before the Byzantine era, the city of Istanbul was called Byzantium. 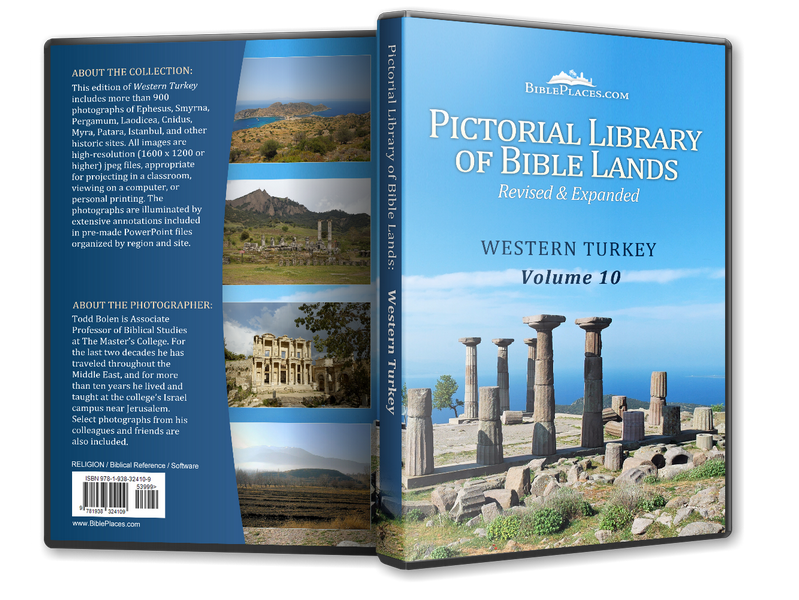 The Roman Emperor Constantine I made the site the new capital of the Roman Empire, naming it Constantinople. Shown here is the church of St. Irene. 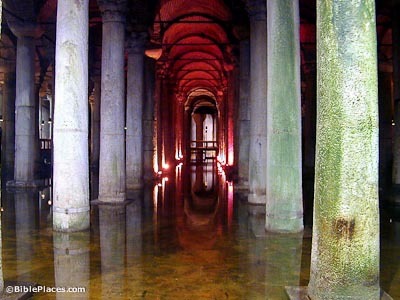 The 2nd church council was held in the church in 381, but that building burned down and was rebuilt by Justinian in 532. It was later enlarged by another ruler. 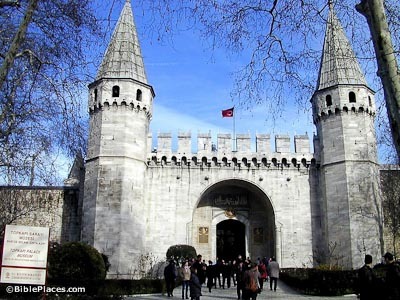 Mehmet II constructed Topkapi palace atop the Byzantine acropolis around AD 1500 and Ottoman sultans after him continued to build up the site. It was the residency of the sultan, his harem, and all the wives and concubines of the former sultans. They continued to reside here until 1909, when the harem was dissolved. Today the four courts and harem are open to visitors. 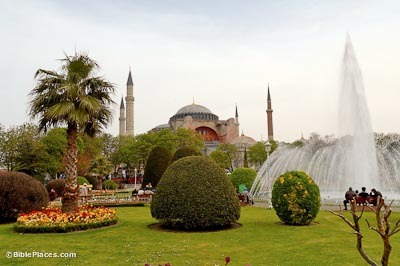 Between 1609 and 1616, the Blue Mosque, also called the Sultan Ahmet Camii, was partially built over the hippodrome and partially over the site of the Byzantine imperial palace. Sultan Ahmet I ordered architect Mehmet Aga to construct the mosque, possibly in competition with the Hagia Sophia, located just across from it. 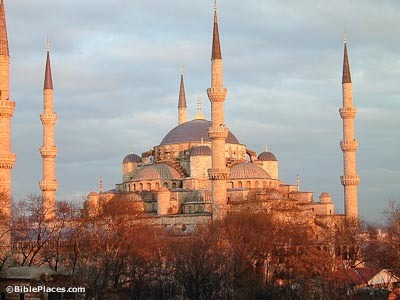 It has seven minarets and 260 windows.